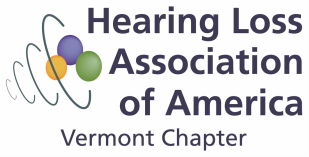 Out of a total population of 630,000 Vermonters, there are ~70,000 of us who are hard of hearing. ﻿We are people who have a reduced level of functional hearing. Therefore, we rely on technology, including hearing aids, FM systems, hearing loops, and many other listening devices and behavioral adaptations to communicate in a verbal language. We are friends, family members, professional service providers and neighbors in your community. Join us by getting on our mailing list. Share a question, comment, or give a suggestion. We'd love to Hear from You! We are hard of hearing people and partners who are happy to do what we can to help other people with hearing loss.